THE PECULIAR-LOOKING Tuscan Bunny is tied to catch fish—lots of fish. Although the jagged and asymmetrical head is not much to look at, like the rest of the elements of this the fly, it is there by design. At first glance, the pattern’s modest list of materials and simple construction may be mistaken for a hastily thrown together mess of fur and foam; however, the Tuscan Bunny, which evolved over the past three years, is a culmination of careful thought and experimentation with materials and tying techniques. 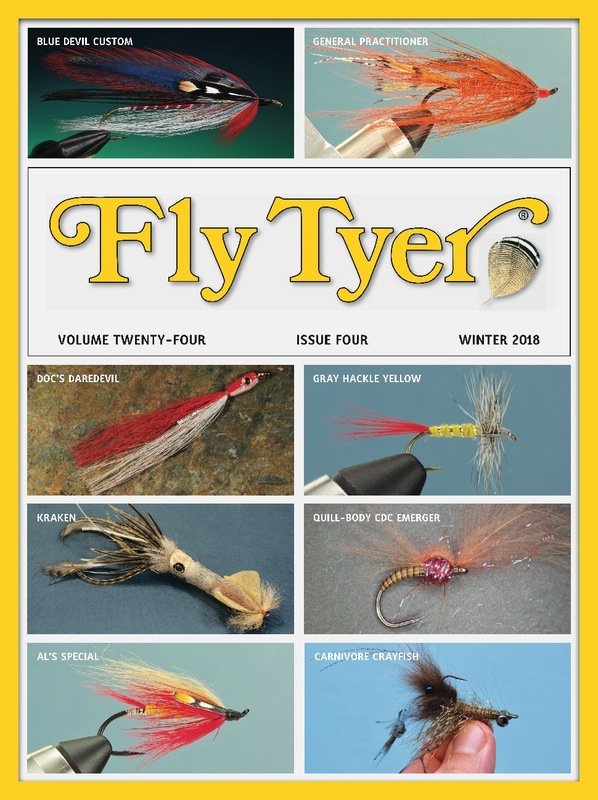 It takes thousands of casts, hundreds of refusals, and countless hours of testing and tweaking to transform a mélange of natural and synthetic materials into a reliably productive fly. The target species of the Tuscan Bunny are ambush feeders with an upward-facing morphology whose eyes are positioned closer to the tops of their heads, such as tarpon and snook. The position of their eyes makes it easier for them to see prey at eye level or overhead in the water column . When the fish are looking up for food, a fly tied using darker colors that silhouette against a light sky is easier for them to see and increases your chances for a strike. HOOK: Owner Flyliner or a similar saltwater hook, sizes 1/0 to 3/0. THREAD: Black 210 Flat Waxed Nylon. BODY: Purple rabbit fur clipped from a Zonker strip. TAIL: Purple magnum Zonker strip and 20-pound-test hard monofi lament. 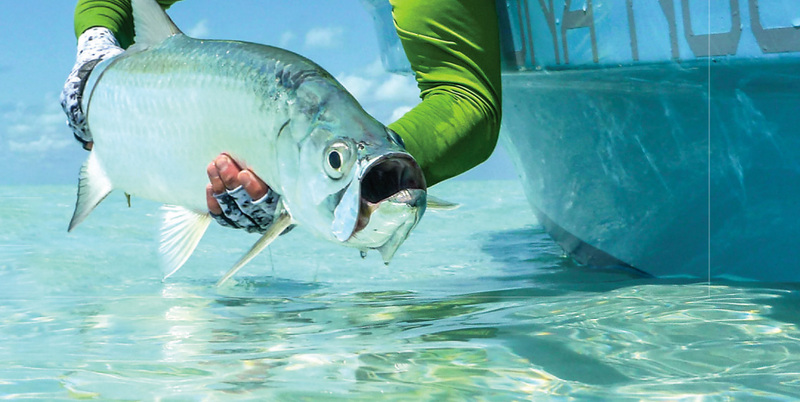 Wrestling these saltwater bruisers requires a pattern with a stout hook that does not straighten easily, soft yet durable materials that move effortlessly in the water, and last but not least, something to keep it all suspended just under the surface. Oh yeah, did I mention it also needs to have good swimming action, it can’t become waterlogged or land with a heavy splat, and the materials shouldn’t foul around the hook? This sounds like a tall order, but you can accomplish this by combining a few familiar materials with some bizarre tying techniques. Fish the Tuscan Bunny with long, slow strips, and occasionally waggle the tip of your rod. You will discover that even the most persnickety eaters find this rabbit-and-foam recipe irresistible. Drew Chicone is an author, photographer, fly designer, lecturer, and instructor. He is also an FFF Certified Casting Instructor and commercial fl y tier. 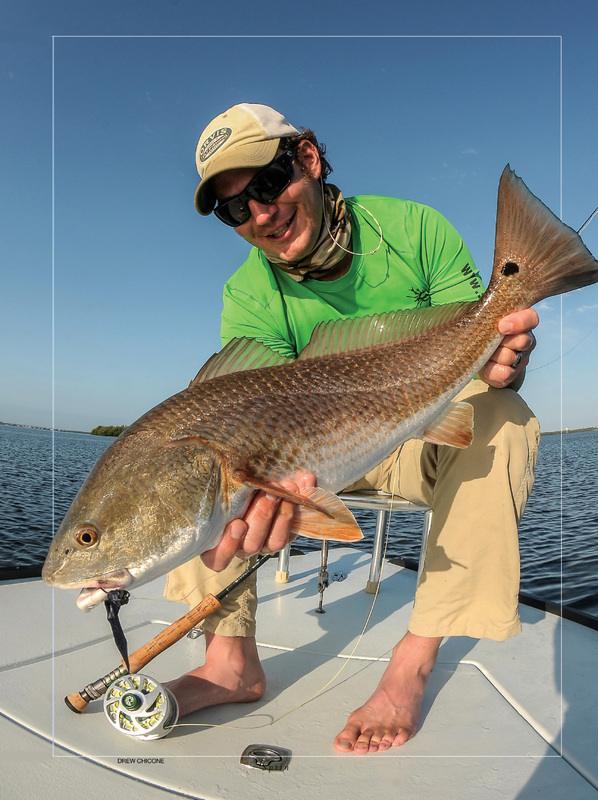 Be sure to read his terrific book, Featherbrain: Developing, Testing & Improving Saltwater Fly Patterns. And sign up to receive Drew’s free e-newsletter at his website, www.saltyflytying.com.